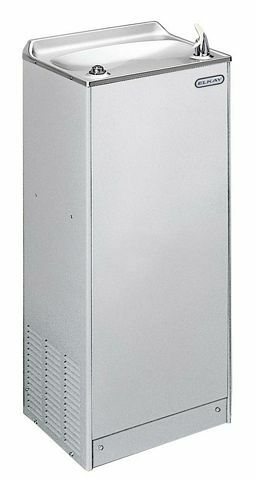 Elkay self-contained, electric refrigerated, free-standing Corrosion Resistant Deluxe Water Cooler Deluxe Floor Water Cooler designed to be easily accessible to able-bodied indivuals. Unit is certified to NSF/ANSI 61 and meets requirements of the Safe Drinking Water Act. Unit provides 50 degree F water at 80 degree F inlet water and 90 degree F ambient (room temperature). Stainless Steel Only.